Charley Hull is a very pretty golf star from England on the LPGA Tour. For Charley's many fans and for LPGA golf fans here are some great photos of her in action in 2017. Watch for pretty Charley Hull on the LPGA Tour. Charley Hull was born on March 20, 1996, in Kettering, England. So far in her LPGA career, Charley Hull has yet to win a tournament but her career earnings are $825,121. 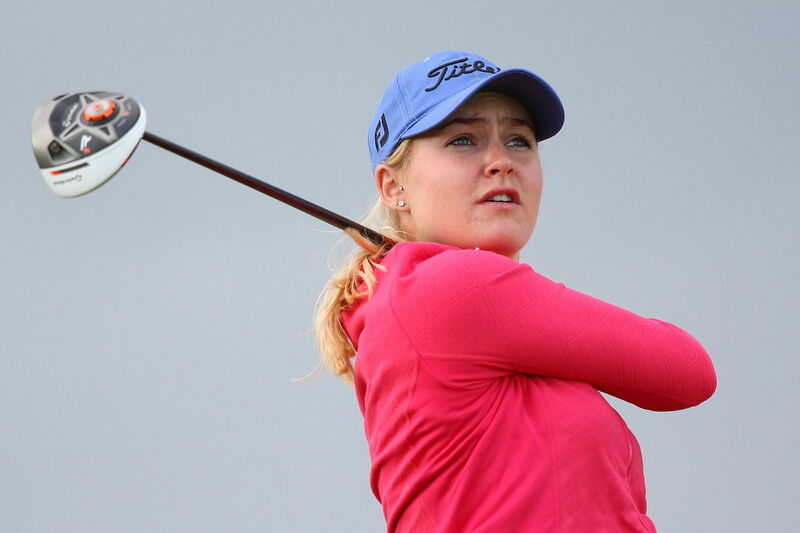 Charley Hull does have a win on the Ladies European Tour at the 2014 Lalla Meryem Cup which is played in Morocco. Charley Hull was the Rookie of the Year on the Ladies European Tour in 2013 and she was the Order of Merit winner in 2014. At the 2016 ANA Inspiration golf major Charley Hull was 2nd so it won;t be long before she wins on the LPGA Tour.